In plan view, wells are plotted with user-specified symbols. 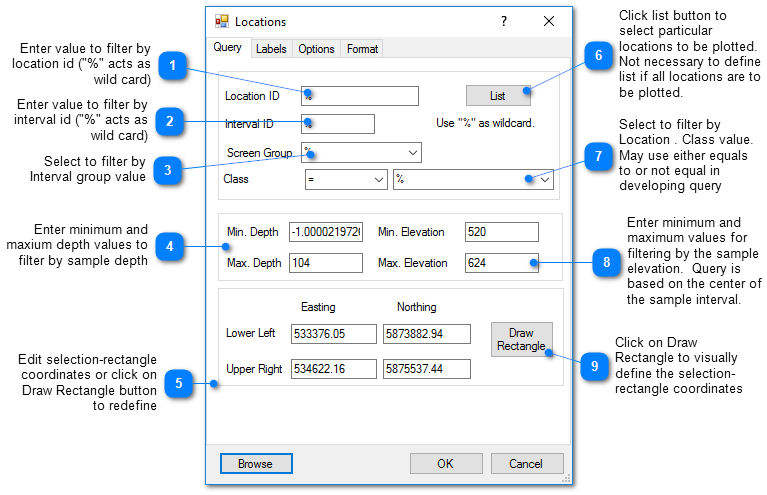 Data queries can select which locations are plotted depending on the location's horizontal coordinates, location ID, interval ID, screen elevation and depth. 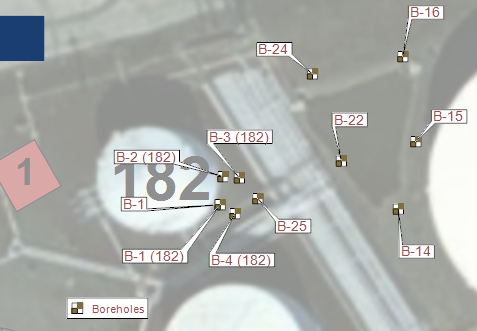 EnviroInsite automatically plots location labels on the plan view. Move location labels around the screen using a mouse. 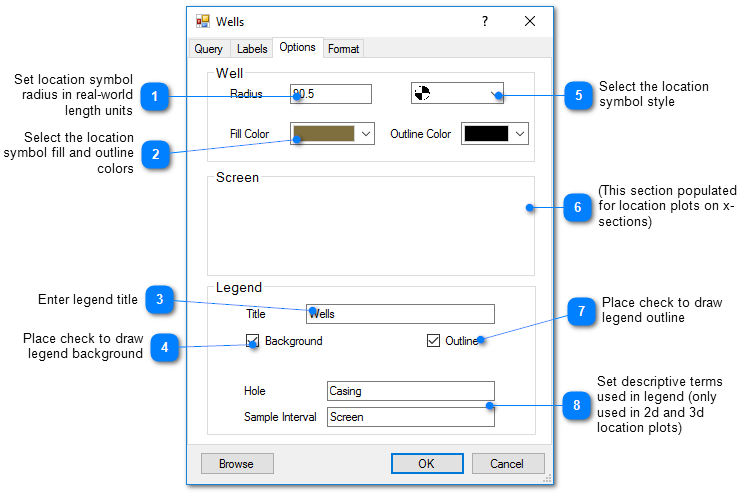 Click Plot> 2D Data from the main menu and select Locations. The Locations dialog box opens. 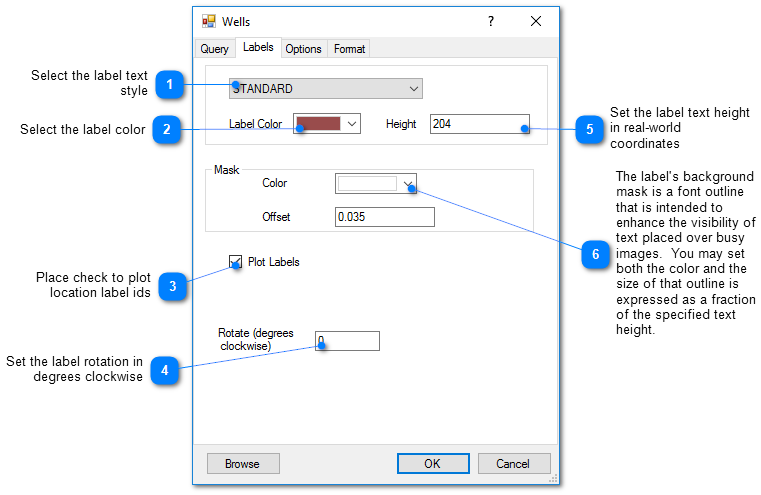 Modify the properties of the locations plot on the Query tab, Labels tab, Options tab, Format tab, and EQuIS Location Groups tab as desired. Click the OK button to save changes.